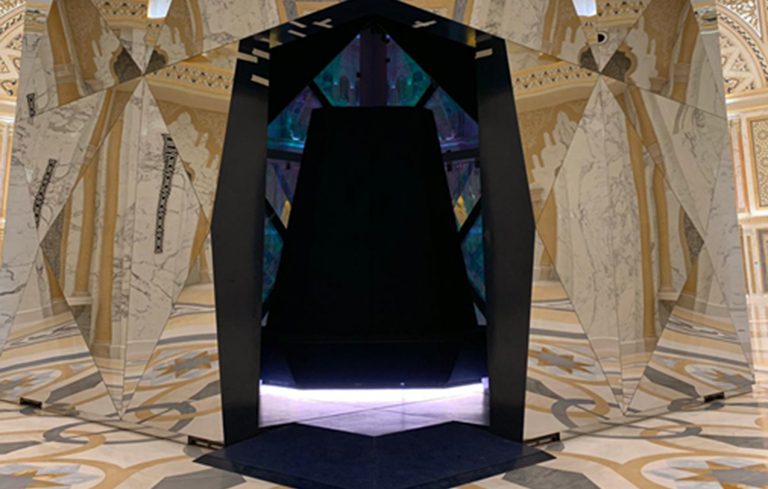 BGL had the pleasure to cooperate in this project with interactive games’ tables, videowalls… but without any doubts the crown’s jewels are The Council and Al Barza rooms. Located in the enclosure of the Abu Dhabi’s Presidential Palace, In the inside of this emblematic construction we will enjoy this historic project that highlights the role of Abu Dhabi as leading emirate of its nation. The place where the members of the United Arab Emirates are invited for meetings and other political events. In this circular room we will also enjoy the biggest lamp in the world. In the walls of the room, two screens, thirty-two meters each, have been installed. Five projectors for each screen allow this overhead projection to be one of the most emblematic rooms in the Palace. One 50 meters corridor, in which one walks barely in the dark leads to an immersive room. 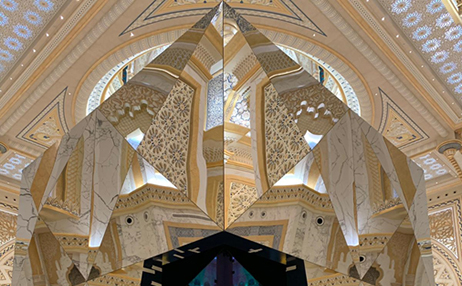 It is formed by eight projectors, six screens and a high quality audio system; this immersive room will guide you through the history of Abu Dhabi. Once the show is finished, the screens automatically roll up and the room is illuminated leaving the audience bowl over.